» dating advice » How to Date Safely as a Single Senior? Dating can be a fun, exciting and rewarding experience. 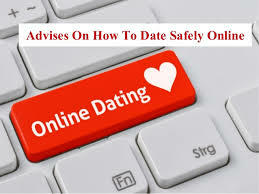 But dating also carries certain risks, especially for seniors who may be unaware of certain safety and security issues. If you are interested in getting into the dating game, make sure you follow these basic rules to help you date safely as a single senior. If you plan on dating a stranger—say, someone you met online or recently met for the first time at a group or public outing—then you should remember to always meet them in public spaces until you’ve gotten to know them well enough to trust them. Never have them pick you up at home or take you home, especially if you live alone; instead, drive yourself or arrange for transportation to and from a public space. Some ideal public spaces to meet include crowded spaces such as restaurants, malls, or other areas where plenty of people will be around. Establishing a “check-up call,” which means having someone call you at a pre-established time so that you can let them know you feel comfortable on the date—or tell them if want an excuse to leave or need someone to come get you. Before you go on any date, you always want to make sure you have about $40 in cash and a completely charged phone with you at all times. You never know when you might need cash to get a ride home or pay an unexpected bill having a fully charged full will ensure you can get in contact with someone in case of an emergency or if you want to leave your date. This can be tricky, as you may instinctively want to share aspects of your life on your date. But you need to be careful about revealing any sensitive information to strangers, including: how much money you make, whether or not you take prescription drugs, where you live and if you live alone, whether or not you have stocks or investments, and so on. Finally, the best safety tip for single seniors is to be on the lookout for red flags and, if you spot them, trust your instincts about ending the date. If you feel uncomfortable, or something about your date just doesn’t seem right, it’s better to end the date than to risk your personal security.